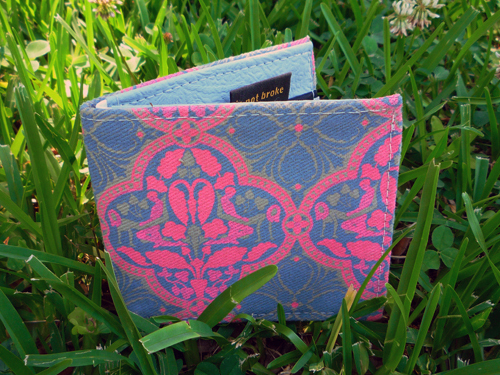 The » perfect fit wallet by The Is Not Broke Recession Proof Wallet Co.
After receiving her MFA in Painting from Boston University in 2008, Karen Ann Myers felt lucky with love and work when she landed a steady boyfriend and job while still painting intricate patterns on canvas. Hailing originally from the great state of Michigan, she has grown quite fond of her new hometown of warm and sunny Charleston, SC where she is director of Redux Contemporary Art Center. 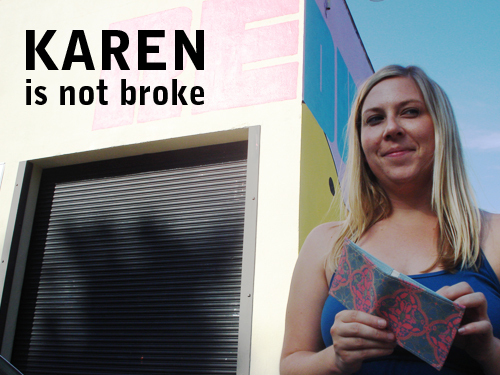 While certainly not getting rich running a non-profit art center, Karen is not broke. 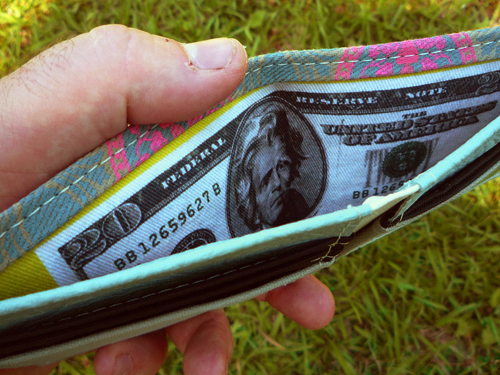 Maybe her luck can rub off on you with her Perfect Fit wallet in your pocket. Perfect Fit is the first in a three part series designed by Karen collating the intricacies of relationships and patterns. 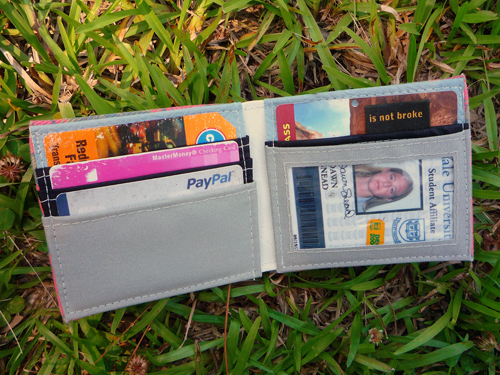 Each wallet is handmade in the USA with a hand printed exterior, 4 credit card slots, ID window slot, two hidden pockets, and twenty bucks printed in the bill slot. 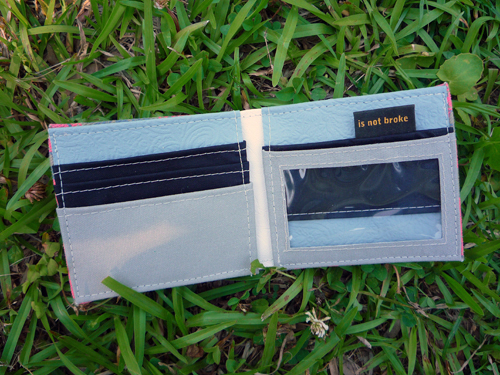 Full size of wallet is 8.5”x3.5” folded 4.25”x3.5” developed from a mix of durable canvas, vinyl, and nylon. Limited Edition of 100.